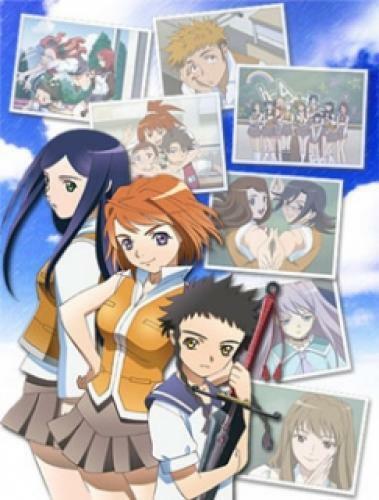 When will be My-Hime next episode air date? Is My-Hime renewed or cancelled? Where to countdown My-Hime air dates? Is My-Hime worth watching? Guided by a star only they can see, a group of maidens known as HiMEs have begun to gather at Fuuka Academy. These young women have been endowed with dangerous supernatural powers that they can use to their heart's content, but there's a price: to wield them, they must put their most important thing on the line. Now, in the midst of school work and friendships, they find themselves caught in the midst of strange conspiracies seemingly related to the terrifying monsters that attack them. Is the power of the HiMEs strong enough to save themselves and the ones they love? EpisoDate.com is your TV show guide to Countdown My-Hime Episode Air Dates and to stay in touch with My-Hime next episode Air Date and your others favorite TV Shows. Add the shows you like to a "Watchlist" and let the site take it from there.